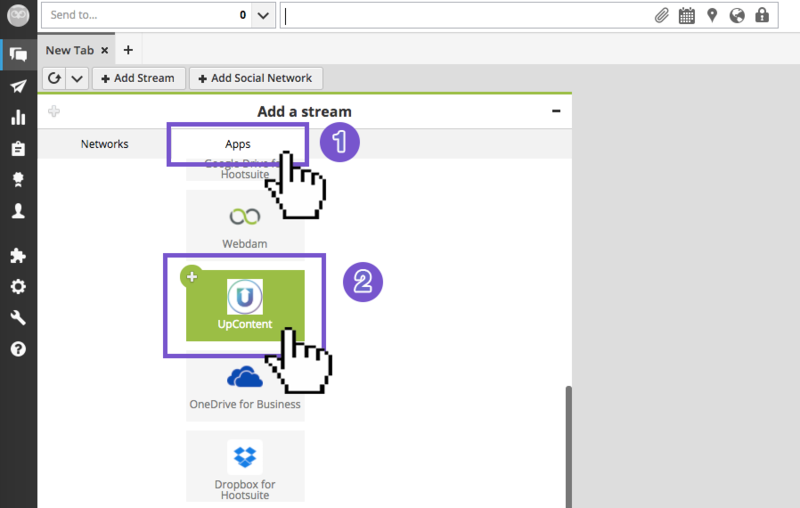 UpContent integrates well within Hootsuite, learn how to add the UpContent App here. 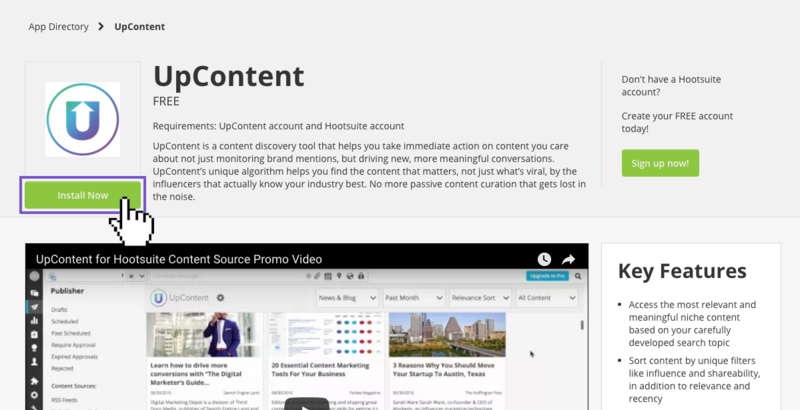 There are a couple ways to add UpContent as a Content-Source in Hootsuite. The simplest way to add UpContent to your Hootsuite account is to follow this link and click the green "Install Now" button. Once you have logged into your Hootsuite dashboard, hover your mouse over the navigation bar on the left of your screen. From here, click on the "App Directory" page link. 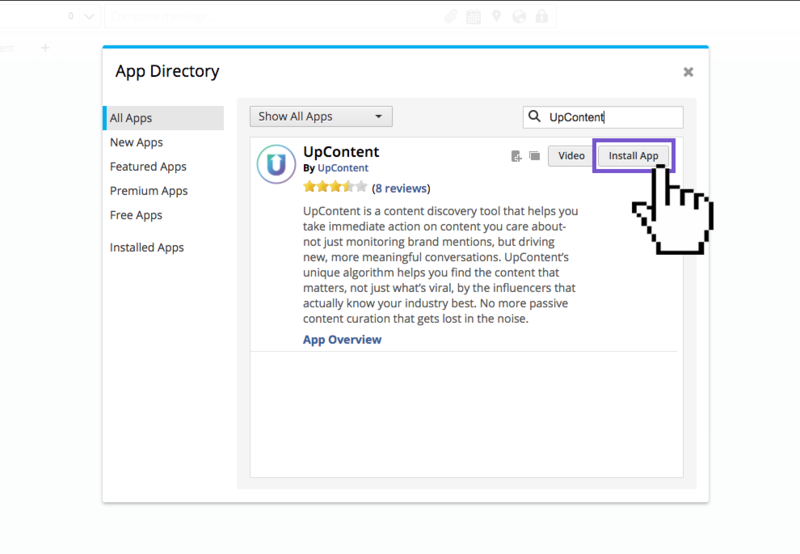 This will bring up the App Directory, where you can easily search for UpContent by clicking into the search field and typing "UpContent." 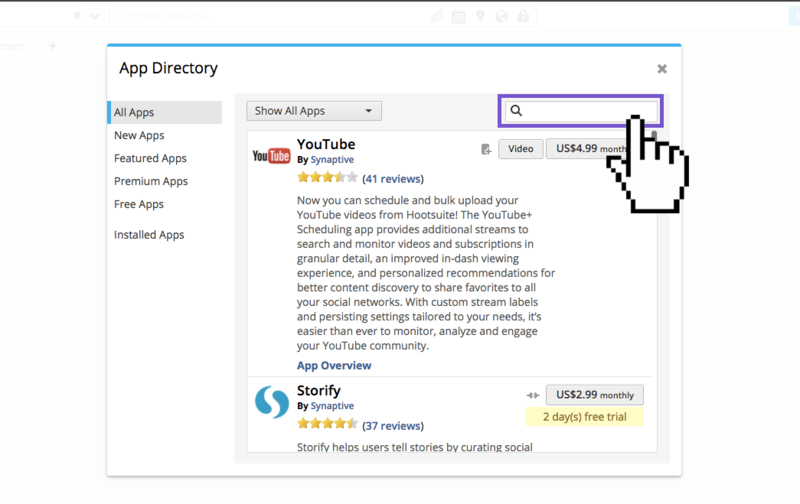 Once found, simply click on "Install App" to add UpContent to your Hootsuite account. Once installed, you should see a confirmation screen. Click "Finish" to complete the process. From here, click on "Streams" page link to access Hootsuite streams. Next, click on the "Browse All Streams" box to bring up the Stream browser. This will bring up the "Add a stream" box. First, click on "Apps" at the top of the box. Second, scroll down until you see UpContent, near the bottom, and click on the icon. Once clicked, the app should be installed and a confirmation should appear. 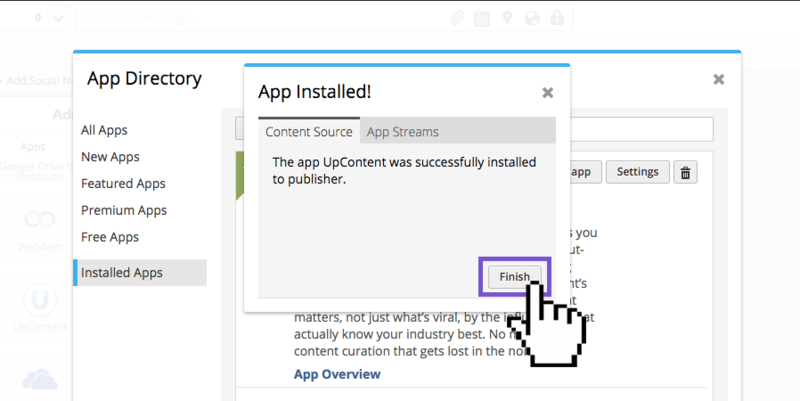 Click "Finish" and UpContent is now available as an app in your dashboard.